The Toyota Avalon is known for its spacious and luxurious cabin and exciting exterior design. 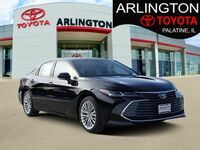 The 2016 Avalon is a luxurious sedan that includes luxurious features such as ventilated front seats, heated rear seats, tri-zone automatic climate control and a power rear sunshade. Add that with an interior that features quality features such as wood and soft-touch plastic trim the Avalon features superior design and capabilities. See our comparison of the 2016 Toyota Avalon vs 2016 Nissan Maxima as we show how the Avalon stands out from the competition. The 2016 Toyota Avalon provides significantly more interior space then its competitor, the 2016 Maxima. Exceeding the Maxima by 5 cubic feet, the Avalon has a spacious and comfortable interior measuring in at 103.6 cubic feet of passenger volume. Tall passengers will find comfort not only in the front seats but the rear seats as well and long drives will seem easier than ever before. Part of owning a sedan is the large trunk space and the Avalon has just that. At 16 cubic feet you will be able to fit just about everything you need into the trunk. 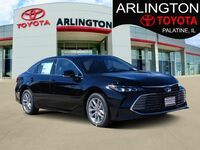 The 2016 Avalon comes standard with a 3.5-liter V6 engine that produces 268 horsepower and is rated at 21 city mpg and 31 highway mpg, nothing like having a little fun without sacrificing fuel economy. When you step inside the 2016 Avalon you will quickly fall in love with all of its features and styling. 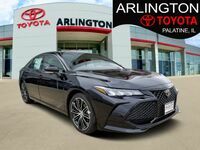 The Avalon combines all of the desirable traits that customers want out of their dream sedan and makes that dream a reality by offering the Toyota Avalon. Come in to Arlington Toyota located in Palatine, IL just 45 minutes from Chicago and 5 minutes from Arlington Heights. 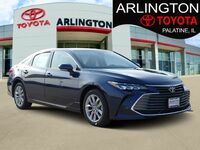 Give us a call today to schedule your test drive for the 2016 Toyota Avalon.